Discovery research includes the search for understanding the causes of disease, unraveling pathways involved in disease, identifying novel drug targets, and testing new strategies to treat disease. The goal for discovery research is to form a solid foundation that informs and accelerates all subsequent drug development. Since each rare disease poses unique challenges to therapy development, discovery research may include various types of studies related to the unmet needs of each disorder including the creation of improved disease models, biomarker discovery, and the identification of the genetic causes of disease, among others. Discovery Research Grants are awarded to independent, established investigators to accelerate progress toward understanding and treating neuromuscular disease and total $100,000 per year for one to three years. In a very limited number of cases, awards will exceed $100,000 per year, but pre-approval is required before letter of intent submission. Applications will be accepted by MDA once yearly for Discovery Research Grants (RG). Letters of Intent and Grant Applications must be submitted through proposalCENTRAL below. Letters of Intent open approximately one month prior to deadline. Letters of Intent are due by 11:59 p.m. ET on December 1. Grant applications are due by 5 p.m. ET on January 31. If a due date falls on a weekend or holiday, the due date will be moved to the next business day. MDA Development Grants are awarded to senior postdoctoral researchers on the brink of becoming independent investigators and are intended as seed money to help launch the scientific programs of promising new neuromuscular disease researchers. Development grants total $70,000 per year, for one to three years. Be no more than 60 months (5 years) from receiving their Ph.D or D.Sc. ; or no more than 96 months (8 years) from receiving their M.D., D.O., or M.D., Ph.D. Please contact MDA to discuss your eligibility if you have questions. For projects focused on ALS: MDA has partnered with Target ALS to allow successful Development Grant recipients to access Target ALS core facilities at a reduced cost. Resources available through the core facilities include human postmortem tissue, stem cell lines, and viral vector production. Please contact MDA's ALS Scientific Portfolio Director Amanda Haidet-Phillips for further details concerning the terms and procedures. Applications will be accepted by MDA once yearly for Development Grants. Letters of Intent and Grant Applications must be submitted through proposalCENTRAL below. MDA’s translational research program represents an innovative way to fund research that’s designed to move new drug targets into the clinic as rapidly and efficiently as possible. The program was developed in response to the increasing number of promising therapeutic avenues for neuromuscular diseases that have developed from MDA's discovery research program. MDA Venture Philanthropy is the Muscular Dystrophy Association’s drug development program, which is exclusively focused on funding the discovery and clinical application of treatments and cures for neuromuscular diseases. MVP funds projects from proof-of-principle studies through phase 2 trials. For-profit entities are required to contribute funds that match or exceed MDA’s contribution. MDA will negotiate return on investment. Projects funded by MVP are milestone-driven projects, with funds released according to the completion of pre-agreed upon sections of the project. Biotechnology, pharmaceutical or other companies are eligible for MVP funding. MVP also may choose to invest in academic projects that fit within the mission of MDA’s translational research program, whereby the project has a path toward clinical development. Companies may be public or private, and MVP does not discriminate between U.S. and international projects. Size and Time Frame of Investment: The award period will be, on average, two years or less, but follow-on investment may be negotiated if all milestones are met and the project moves into later phases of development. The following ranges are guidelines for the value of investment that MVP may put into projects at each stage. Submit LOI through Proposal Central. MDA’s clinical research program supports the continued development of exciting therapies in the pipeline, moving into testing in humans. This includes human clinical trials testing repurposed drugs and non-drug interventions, as well as clinical research studies that are non-interventional. As part of its clinical research program, MDA also supports clinician scientists in training, as well as clinical research networks and travel grants to help support the costs of study/trial participants' travel to and from clinical research sites. Clinical Research Grants are designed to support observational studies such as natural history, biomarker, and outcome measure studies. Clinical trials of compounds already on the market performed at academic medical centers may also be considered. Trials of novel therapeutics should be submitted as MDA Venture Philanthropy (MVP) projects. MVP commonly supports for-profit entities and return-on-investment is negotiated by MDA. Clinical Research Grants may last up to three years and are milestone-driven, with funds released according to completion of pre-agreed upon sections of the project. Clinical Research Grants may last up to three years and are milestone-driven, with funds released according to completion of pre-agreed upon sections of the project. The maximum budget for these awards is $500,000 total over one to three years. In a limited number of cases, awards can exceed this limit, but pre-approval is required before letter of intent submission. Applications will be accepted once per year with Letters of Intent due April 1 and the application due August 1. Applications will be reviewed in October with funding to start in January at the earliest. Letters of intent and grant applications must be submitted through proposalCENTRAL. 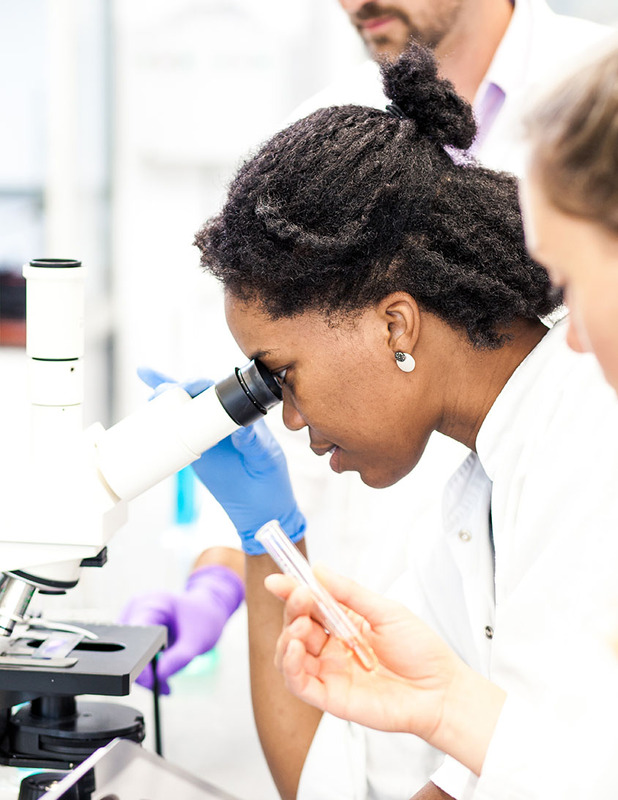 MDA is committed to supporting investigators who are at an early stage in their medical careers with the goal to encourage talented physicians to enter the field of academic clinical neuromuscular research. In partnership with the American Academy of Neurology (AAN) and the American Brain Foundation (ABF), MDA is pleased to offer a Clinical Research Training Fellowship opportunity. The award will provide $65,000 per year for two years, plus a $10,000-per-year stipend to support education and research-related costs. To learn more about eligibility requirements, evaluation and selection criteria, and how to apply, visit Clinical Research Training Scholarship in Muscular Dystrophy at AAN.com. Applications must be completed by Oct. 1. MDA supports multiple clinical research networks focused on specific diseases under the MDA umbrella. Each consists of networks of multiple MDA Care Centers with special expertise in clinical research. 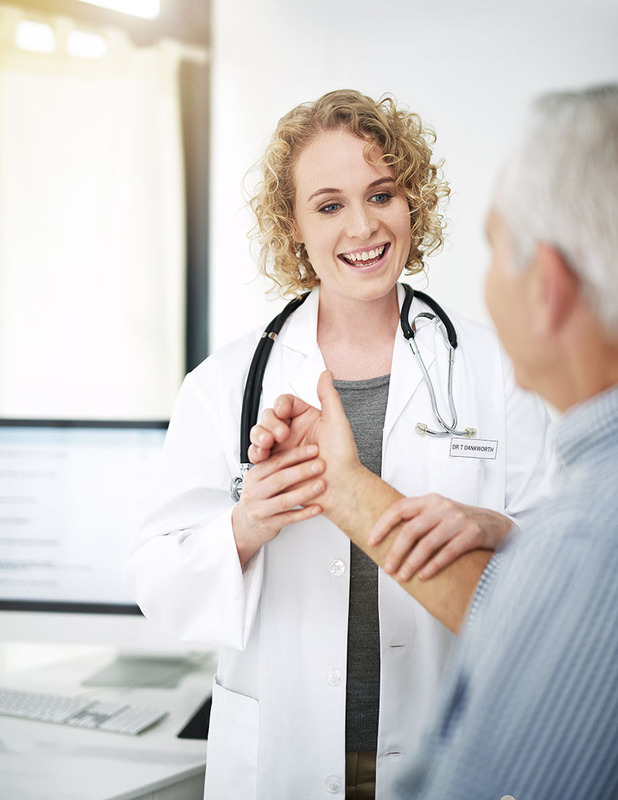 The Care Centers work together on projects selected by the network, such as natural history studies, endpoint determinations, and other clinical research efforts. The investigators of the networks meet regularly by phone and in person to discuss ongoing and novel programs. The maximum budget for these awards is $1,000,000 total over one to three years. In a limited number of cases, awards can exceed this limit, but pre-approval is required before letter of intent submission. Applications will be accepted once per year with Letters of Intent due April 1 and the application due August 1. Applications will be reviewed in October with funding to start in January at the earliest. Letters of intent and grant applications must be submitted through proposalCENTRAL. Applications should directly relate to a disease in MDA’s program. MDA recognizes that travel to clinical trial sites presents a serious, financial burden to many individuals and families wishing to participate in clinical research. To help alleviate this burden and provide equitable access to clinical trials for all patients, MDA awards Clinical Trial Travel Grants, which can be used to support the costs of travel to and from the hospital or trial site for patients enrolled in clinical trials. These grants are awarded to the trial sponsor or the lead investigator and are to be used to support patient travel to all trial sites included in the study. Clinical Trial Travel Grants are not for individual patients or trial sites, but rather are intended to alleviate travel burden for the entire trial. Contact the appropriate MDA Scientific Program Officer for information on how to apply for a Clinical Trial Travel Grant. The maximum budget for these awards is $300,000 total over one to three years. In a limited number of cases, awards can exceed this limit, but pre-approval is required before letter of intent submission. MDA supports conferences, meetings, and workshops that facilitate the exchange of scientific ideas and crucial information relevant to diseases covered under the MDA umbrella. What kinds of conferences are funded? Workshops to update guidelines for standards or care, clinical trial practices, etc. Letters of intent for Conference Grants are accepted on a rolling basis. Contact the appropriate MDA Scientific Program Officer for information on how to apply for a Conference Grant. To receive updates and alerts about grant opportunities and deadlines, please email grants@mdausa.org to be added to our mailing list.